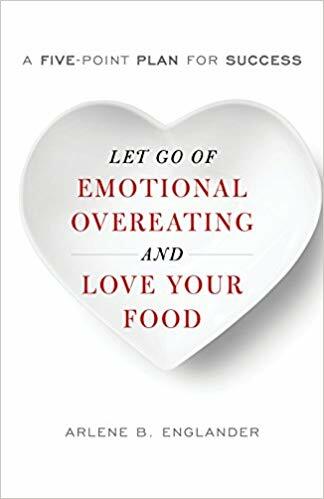 Readers will learn how to become aware of the difference between eating in a healthy way and eating emotionally — neither to satisfy hunger, nor for enjoyment, but in a desperate attempt to distract oneself from painful thoughts and feelings. Diets don’t work for people who eat through their emotions. Instead, learning to recognize the stressors that lead to emotional eating and to address those tensions through other methods besides eating is the goal. When we handle stress well away from the table, we’re free to relax and really savor our food when we choose to eat. Proven techniques like Cognitive Behavioral Therapy (CBT) are presented in an innovative, easy-to-remember way. Learning to eat mindfully, for health and enjoyment, becomes the goal, and Arlene Englander walks readers through table techniques designed to make mindful eating easier, habitual, and ultimately second-nature.